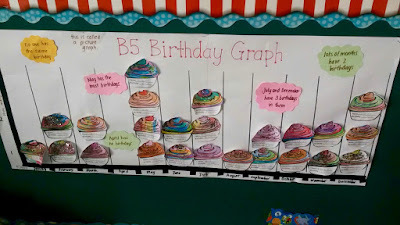 Over the last couple of weeks we've been learning about statistics ... how to ask questions and gather, record, discuss and present data. We have worked out when all our birthdays are over the year. We noticed there are no birthday in April. The most popular birthday month is May. 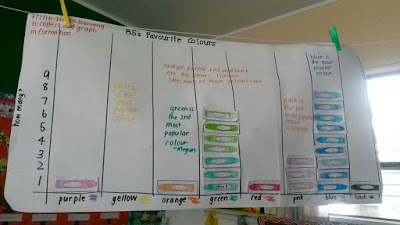 We shared what our favourite colour is. The most popular colour in B5 is blue. The least popular colour is yellow. We were surprised. Today we took our maths session outside. We used clip boards and surveyed the cars as they drove past our school. 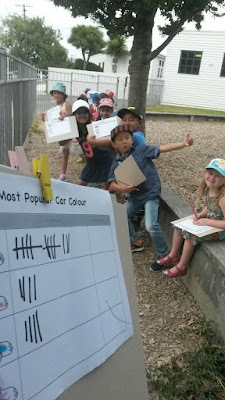 We recorded how many black (including silver and grey), blue, red and purple cars went past. 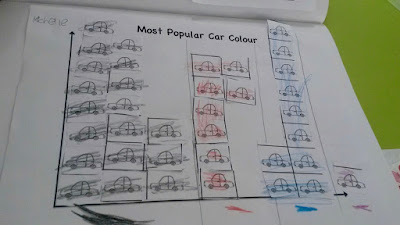 These are the colours of our own cars, so we thought they would be good ones to count. 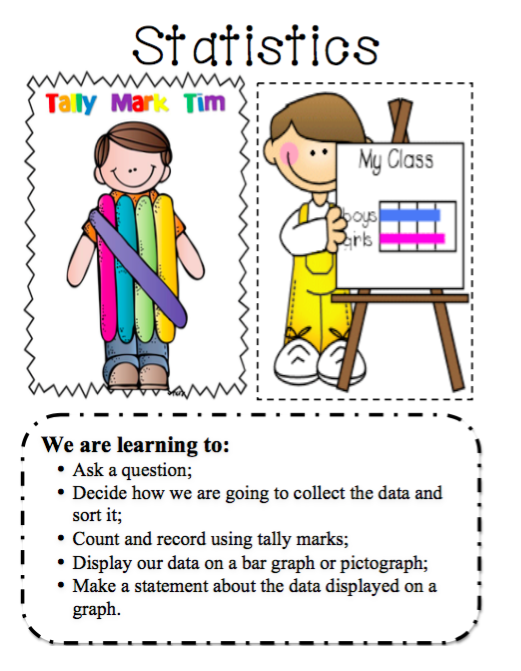 We then transferred the data we had collected onto a pictograph. 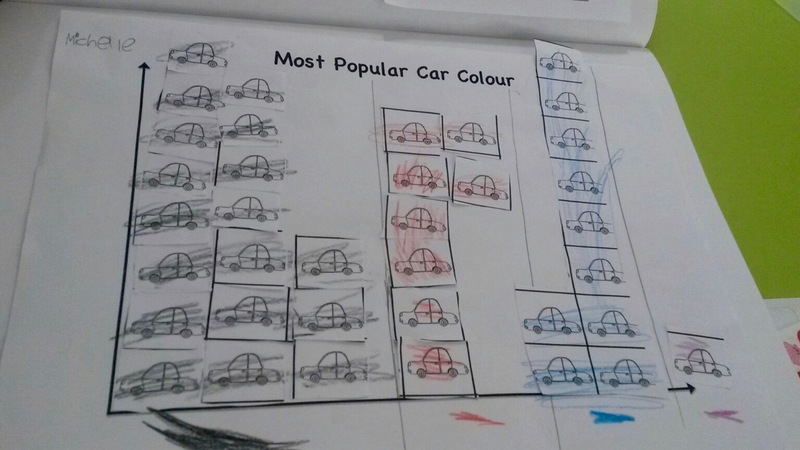 Black (including silver and grey) cars are the most popular coloured cars. Purple was the least popular. We've also explored how many people live in our families and what our favourite sports are. Here's a great clip on tally marks to help explain what we've been learning and why.